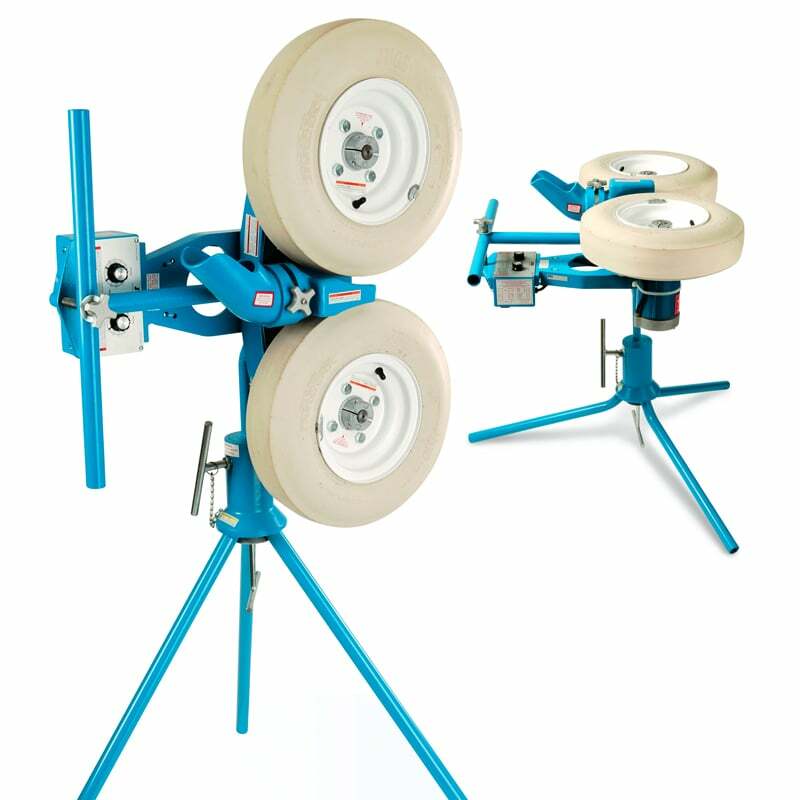 The Combo Pitching machine is 3 machines in 1—perfect for coaches juggling a tight budget. The Combo Pitching Machine is generally used by Indoor Centres, High Schools, & Youth Leagues. Ideal for baseball, softball and cricket. Quick and easy speed adjustment. Throws from 30-170 kph. Portable and easy to move and set up. One person can remove the legs and load JUGS into the trunk of a car. Patented “gooseneck” design provides full range of movement to adjust for all types of pitches, including fastballs, drops, and risers. Throws baseballs, 11″ or 12″ softballs, Sting-free balls, JUGS Pearl, JUGS Lite-Flite balls, JUGS Softie balls, JUGS Bulldog and tennis balls. Swivel base casting provides 360 degree movement for fly balls, ground balls, and pop-ups.